The Zed-up Brochure Stand is the perfect way to stylishly display your literature at any event. 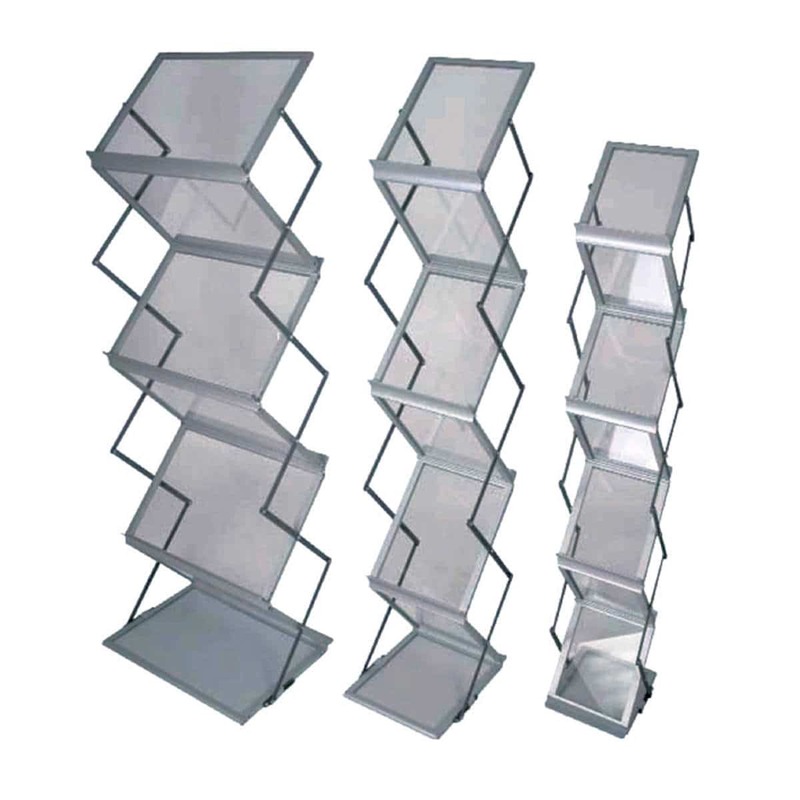 The Zed-up Brochure Stand is our best selling literature holder. It is a modern looking silver brochure stand that will compliment any exhibition display. Available in A4 portrait size only with 6 pockets for holding your promotional literature. The Zed-Up packs down in a concertina to a manageable size to transport in a supplied carry bag. 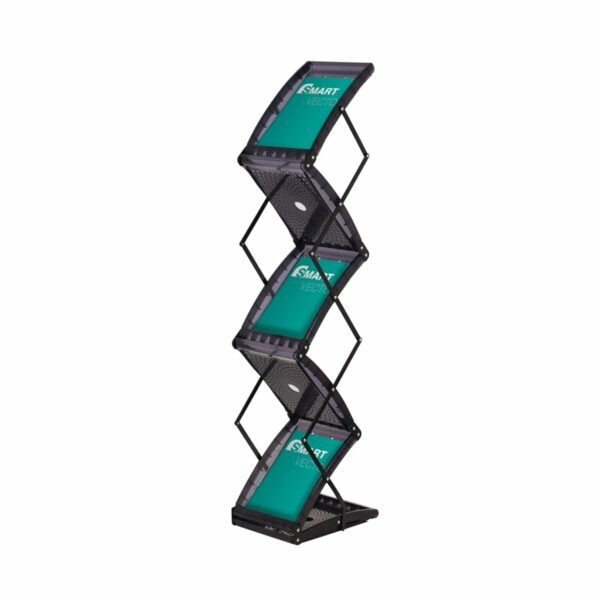 As a result to save time at your next show, the stand can even be collapsed with your literature still in place, so it is ready to go the next time it is required. Therefore this makes it a stylish yet easy stand to have.